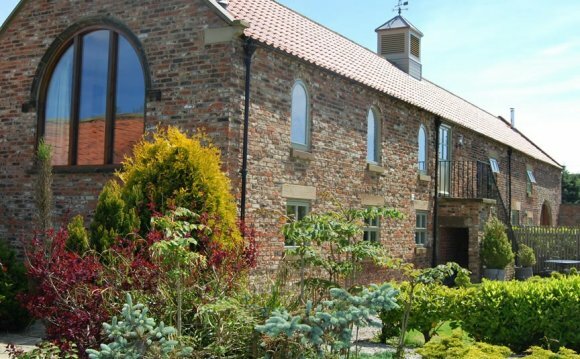 Please find below a selection of self catering holiday cottages to rent in Helmsley, Yorkshire. On the borders of the North York Moors National Park, this lovely little market town is a haven for walkers as it's the starting point of the Ebor Way, a long distance trail that connects the Cleveland Way and Dales Way. Of course, the National Park is a playground for all kinds of other outdoor activities too like cycling, horse riding, fishing and golf. Plus it's only a short distance from our Helmsley cottages to the coast if you fancy a day on the beach. Fresh air and exercise create healthy appetites and Helmsley's pubs, tearooms and restaurants are extremely inviting - worth a mention is the Black Swan for fine food amid swish surroundings. There are also stylish shops selling everything from gifts and crafts to country wear, along with a weekly street market. Attractions include the beautiful Parish Church, a thriving Arts Centre and Helmsley Castle, a magnificent ruined Norman keep overlooking the town, with displays of archaeological treasures and a fascinating interactive exhibition. In the shadow of the castle, just a short distance from the town centre, lies the estate of Duncombe Park and its National Nature Reserve. Spend a day here admiring ancient trees and colourful birdlife and look out for the five-acre Helmsley Walled Garden, a working kitchen garden brimming with special collections of Yorkshire apple trees, Victorian vines and numerous varieties of clematis. And don't miss a trip to Rievaulx Abbey, an amazing Gothic ruin just a couple of miles away; or Nunnington Hall, a stunning 17th Century manor house.